Welcome to the online home of the Mountain Garrison. Over 70 Imperial Garrisons and Outposts comprise the 501st Legion of Stormtroopers and we are assigned to Earth, to protect and serve the Emperor and the members of the Galactic Empire. Over 5,000 members of the Imperial Navy are here to safeguard Earth from any Rebel activity. 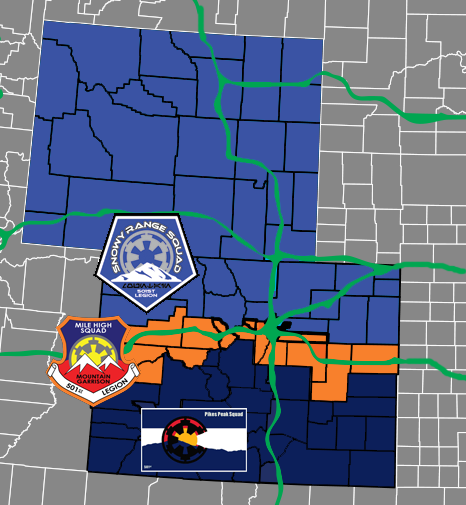 With over 150 members, the Mountain Garrison is assigned the task of maintaining security across the states of Wyoming and Colorado. We are also here to lend assistance to charities and provide smiles to those most in need. 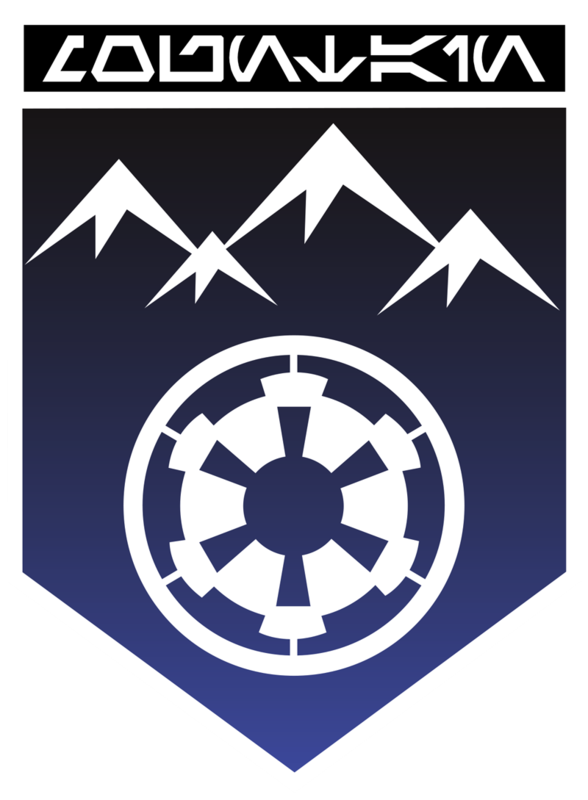 Please browse our site to see what the Mountain Garrison does, who its members are, and how to join. The Emperor is always looking for another loyal trooper to join the cause. 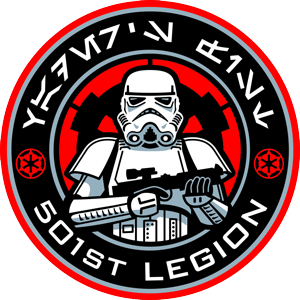 The Mountain Garrison is only a small part of a worldwide organization known as the 501st Legion. As of early 2015 the legion has over 7,000 active members and is growing stronger every day. We are always looking for new recruits. Check out www.501st.com and the following links for more information. Trooper Survival Guide - This guide will help you understand what you can expect from the Legion and what the Legion expects from you. Costume Reference Library - CRL for short, is a guide to what is required for each costume. A must read for every prospective and current member. 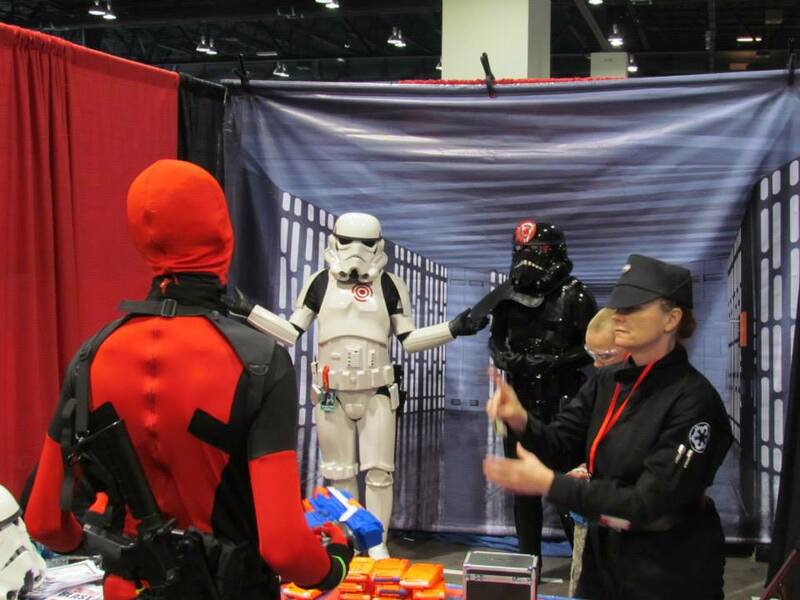 Request an Appearance - Request Vader's Fist at your next event. JOIN US! - How to join the ranks of the 501st Legion! "The 501st Legion is now recognized as one of the largest costuming organizations in the world. It has active members in forty-seven countries on five continents, divided into sixty-seven local garrisons and twenty-nine outposts (those units that comprise fewer than twenty-five members). More than 20 percent of the troops are female." How do you get into the legion? By submitting multiple photos of your costume to a compliance officer, who will check the tiniest of details for screen accuracy; the six-pouch criterion is one of many. Would-be troopers have to work hard to get their costumes up to code although some find it easier than others. " I've heard guys say they can finish their armor in a week or two, working nonstop with fast-acting glue," says Ed daSilva, CO of the Golden Gate Garrison in Northern California, who built his costume in two months. "If you can handle PVC, plumbing, irrigation work, it's similar." Taylor, Chris (2014-09-30). How Star Wars Conquered the Universe: The Past, Present, and Future of a Multibillion Dollar Franchise (p. 34). Basic Books. Kindle Edition." While a growing number of people are experiencing a reawakening of their Star Wars fandom, new generations are seeking ways to celebrate their passion for George Lucas' modern mythology. 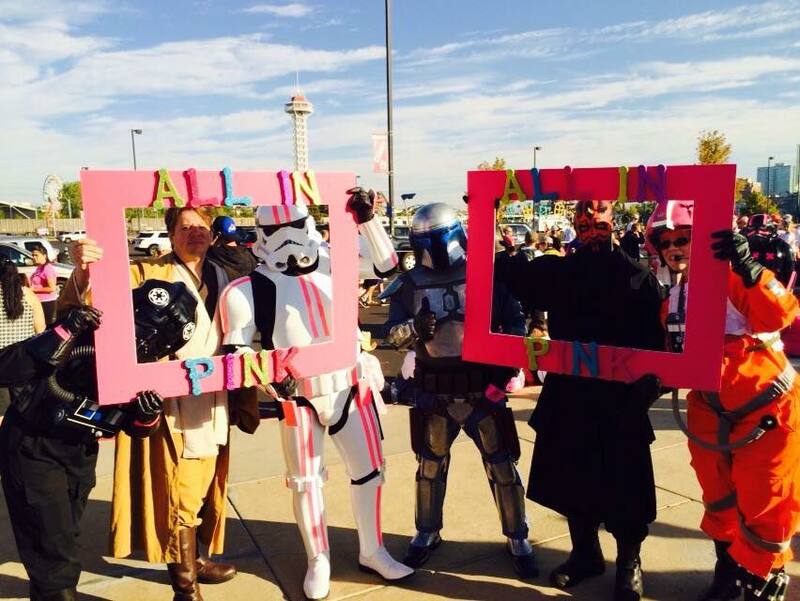 The 501st Legion brings these fans together, reinforcing the enduring longevity of the Star Wars saga. 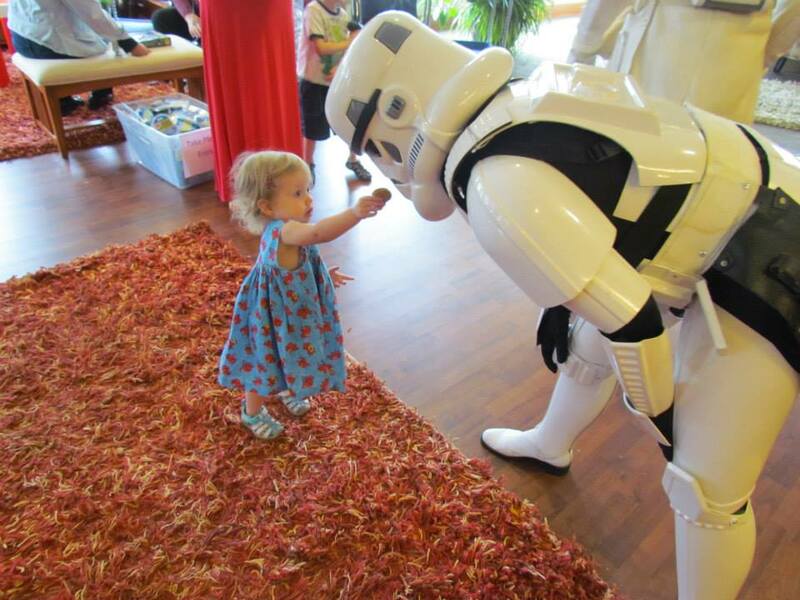 While our organization was founded to simply provide a collective identity for costuming fans with similar interests, the 501st is proud to put its resources to good use through fundraising, charity work, and volunteerism. Read more about our charity work here. Then there's a place for you in the GALACTIC EMPIRE! 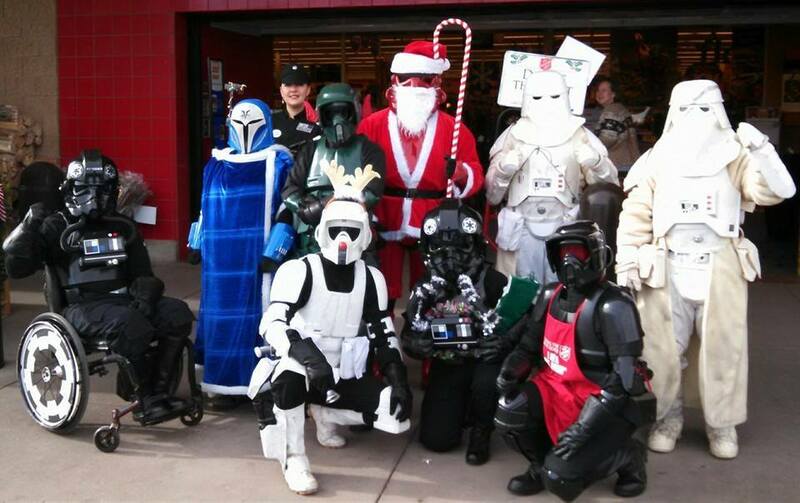 Our dedicated troopers truly live by the motto "Bad Guys Doing Good!" Here are a few examples of ways we help our communities! Our garrison has sub groups called squads. These groups have their own Squad Leaders that help coordinate events in their areas.